The story of Sita Murt begins with the foundation of a textile company by Antonio Esteve Aguilera in 1924. In the 80ies, the company expired its wending point with the incorporation of Sita Murt, designer and wife of Toni Esteve Enrich. She gave new personality to the designs. In 2004 the consolidation took place by launching Sita Murt, an international fashion company. Sita Murt collections are sold to more than 40 countries on 4 different continents. 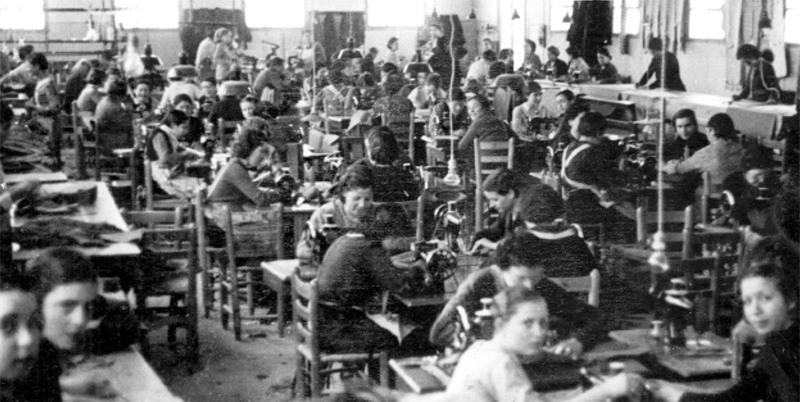 1940s: Introduction of the circular knitting machine and move to the main seat to Sor Rita Mercader 22 in Igualada, where you still can find them today. By that time the second generation is already incorporated into the family business. 1960s: Creation of the company Esteve Aguilera S.A., modernizing and optimizing the production, focusing on knitwear for men and women. The third generation incorporates in the company and Antoni Esteve Enrich, grandson of the founder, gets married with Sita Murt in 1966. 1970s: The production of knitwear gets more and more important in the company. At the end of the 70s Sita starts her studies of fashion and design. 1980: First designs of Sita Murt. Antoni Esteve Enrich dies in 1984, now Sita is running the family business. From this moment on, the company focuses on designing only womenswear and starts to participate on fashion shows such as Gaudí de Barcelona. 1990s: The fourth generation joins the business. 2004: Creation of the brand Sita Murt and opening its own shops in Spain and abroad. 2014: Return to the 080 Barcelona fashion show after some years parading in Cibeles , Madrid. 2015: Sita Murt passed away in December 2014. Her children Toni and Isabel Esteve are responsible now for the creative and design area. Now, Sita Murt has expansion plans in new international markets like the United States. 2017: Knit Feelings S.L society acquires Esteve Aguilera and Sita Murt/'s brand to enhance the international growth and the eCommerce.